I bought the Tzumi MagicTV when it went on sale at Walmart in June. I followed a blog on reddit where they were able to hack it. Kind of reminds me of those old-school TV tuner add-ons for handheld consoles like the Game-gear. I understand your criticism, my skills are no where near those who did the hacking. I guess I was taken in by the optimism of the HaD article basically saying a new low cost SDR had been discovered on a device that was readily available (local Walmart). Ummmm, yeah…. So, you mean I use the Unix/Linux pipe command to do this? From my post poisoned and gun shot wound head injury incidents… I can basically say from a layman perspective from the basics of systems analysis and application development think that all either command, procedural or object oriented programs are going to have the basic “Input(s)”, “Process(es)” and “Output(s)” or I.P.O. system steps. So from a system analysis perspective when dealing with different applications there may be the literal “pipe” Unix/Linux commands from the command line process where we’d need to find the outputs or variables for the memory if stored so can be accessed somehow like in a txt file maybe, data structure or even direct memory address(es) to be input and processed into the applications we prefer like with a GUI. Might even need another application or dll (Dynamic Link Library) to do that translation process basically to get the data in the format we desire with additional functionality also if required. 5. switch all 4 devices from their antenna to an onboard common zener diode noise source. And the index in “d” with the maximum absolute amplitude would indicate the number of samples offset between each pair of signals. And a finer compensation could calculated to fully align the samples from each stream using Quadratic Interpolation Spectral Peaks to align with a greater granularity than just one sample. e.g. https://ccrma.stanford.edu/~jos/sasp/Quadratic_Interpolation_Spectral_Peaks.html using using 2 additional samples from “d” either side of the maximum. And then everything after that is just using the phase coherent and phase synchronization samples. In the past I’ve seen this done by providing a common master clock source to all the sdrs via an external clock generator and some cables of equal length. 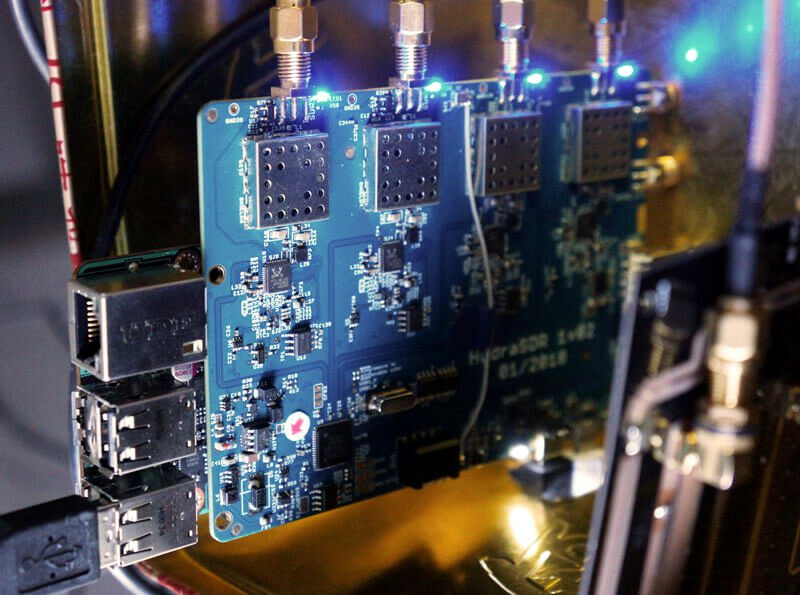 Hackaday has even posted some projects that do exactly that for passive radar using local radio stations as the initial source of the radio waves. Perhaps the most robust signal of a local Continuously Operating Reference Station (CORS) that is part of a network of real-time kinematic (RTK) positioning base stations, broadcasting global navigation satellite system (GNSS) corrections, would be a good candidate for the baseline transmission as it also provides a standard time reference. It reminds me of bi-static radar, a secondary receiver at a different location picks up the reflected signal from the main radar. The data of the second receiver is time correlated to the main radar’s azimuth and elevation at the time of transmit. On first glance, that 4x SDR board looks mighty sweet. Any word on the clocking? 4 independent clocks or one synced? Would be a great little board to monitor multiple channels simultaneously if you could run 4 clocks. According to the creators of the KerberosSDR, there is one clock (TCXO), but that does not prevent the devices from being tuned to any frequency, so one could be at 1090MHz (ADB-B) while another is tuned to 1575.42 MHz (GPS), and so on, they can be treated exactly the same as four independent RTL-SDR devices plugged into a computer. “… If you’re not interested in coherent applications, you can still use it as a bank of 4 separate RTL-SDRs that you can use for any RTL-SDR related project. The main feature vs 4 separate dongles, is that the KerberosSDR RTL-SDR units are locked to the same clock, so coherent applications are possible. Each individual tuner chip still has an independent numerical controller fractional PLL inside. Thank you Truth, much appreciated. Exciting. Good article and cost effective COTS system design! Let’s keep this up Hackaday et.al. and find those rogue COP’ers that want to blame everyone else and worse as the causation… especially since we know mind control technology is real and not only sound and body assault with intent to maim and murder existed. Before we all get treated like hot chocolate I guess is another way to speak the truth.